As the end of the year quickly approaches, many people are planning for the new year. One of the top New Year’s resolutions every year is to save money. While I think that’s a great goal, without a plan and a number to save in mind, that New Year’s Resolution is bound to fail. I’ve always been a spender and while I like the idea of saving and know it’s good for me, I’ve always struggled with the follow through. 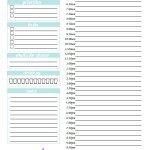 Since I’m one of those people who loves to check things off, a printable savings chart has been extremely helpful in my quest to save money. 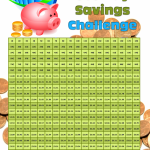 A few years ago, I shared a 52 Week Savings Challenge with you! I received quite a few emails from people telling me that they were surprised at how much money they saved! I also had people who told me that they’d like it more if they could start with the bigger amount and move down from there. 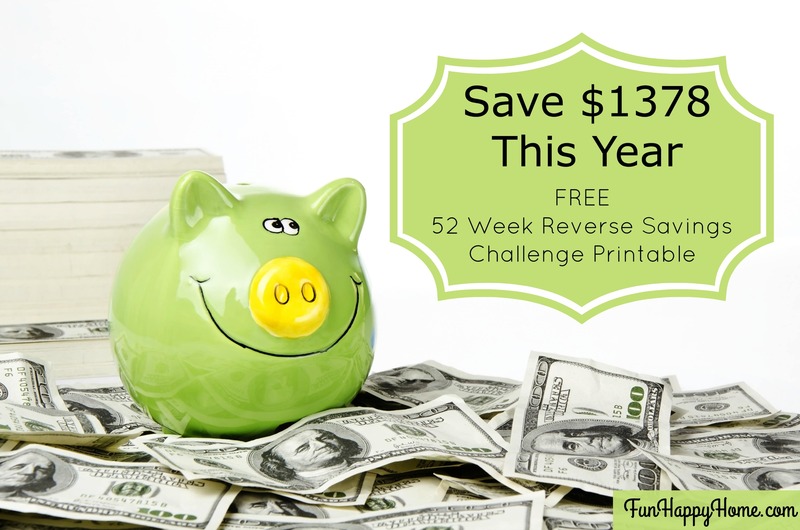 With that in mind, I created a 52 Week Savings Challenge in Reverse. Each week, you’ll put a predetermined amount of money into your bank account. It helps to have a separate bank account for this, but use whatever works for you. (When I did the 365 Day Savings Challenge, I saved all my money in mason jars.) The first week, you’ll put $52 in your account, the second week, you’ll put $51 in, and each week you’ll put in $1 less than the previous week. 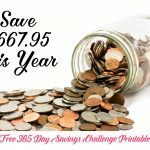 By the end of the year, you will have saved $1378. 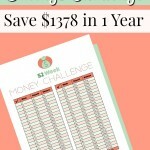 If you like the idea of starting with $1 and working your way up to the $52, you’ll want to use the original 52 Week Savings Challenge. 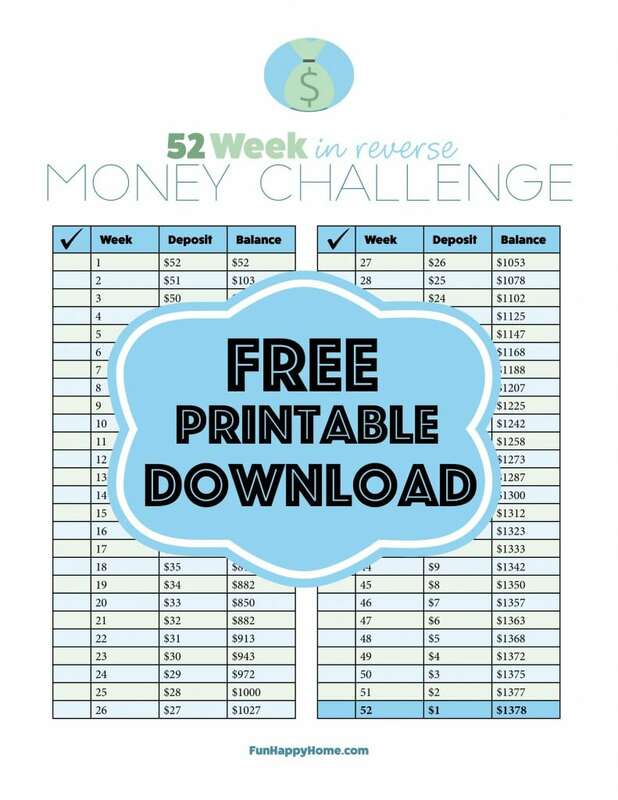 Download Your FREE 52 Week Reverse Savings Printable! Just read this. This would be a challenge for me. However, I think this is a good way to add layers to our other methods of savings ~ in other words, it helps to find ways to discipline ourselves in every which way to save.